The out-of-home industry is set to evolve more rapidly over the next 18 months. The oldest advertising format has seen significant changes; mobile convergence, developments in digital platforms and data sources are changing industry perception. 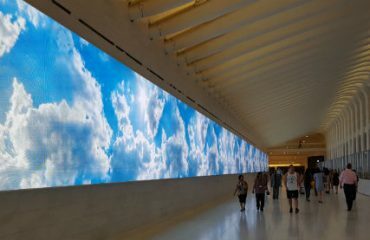 The number of digital screens will increase significantly due to several factors, including changing city government legislations and the significantly lower cost to produce LED screens. There will be new developments in hyper-targeting. OOH planning systems are integrating with data sources including mobile carrier data, online browsing behavior and shopper purchase records. Marketers will be able utilize OOH to target micro-specific segments on the move. In an election year, presidential campaigns will tap into first-party polling and CRM location data to target constituents in real-time. Real-Time OOH trading will steadily increase, as more OOH vendors integrate inventory into demand-side-platforms. The format’s ability to target consumers in real-time based on previous location histories has led to automotive, travel and retail advertisers dipping their toes in the water. Expect more marketers to expand their real-time initiatives in 2016 to include OOH. OOH will become more intelligent as forward-thinking brands take advantage of developments in Internet-connected screens, facial/object recognition and external data feeds. A convergence of art and science will lead to OOH creative that self-optimizes based on how people react. Dynamic content triggered by data feeds already allows advertisers to change creative in real-time based on external conditions including CRM data, weather, sports scores, traffic and social media sentiment. Beacon adoption will grow, focused on analytics. Smart marketers will utilize Bluetooth Low Energy Devices (beacons) for data collection to gain a better understanding of their customers’ instore behavior. OOH will be a core part of social and mobile strategies, and we will see more campaigns with OOH as a centerpiece. 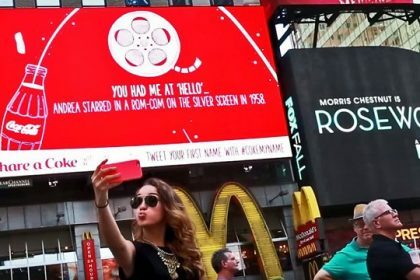 Coca-Cola launched an integrated digital campaign in Times Square as an extension of its hugely successful “Share a Coke” campaign, incorporating large digital billboards, Google search data, mobile and a socially activated call to action. OOH will start being recognized as a direct response medium. As cardless payments including Tweet to pay and mobile payments gain traction with merchants, consumer usage will increase beyond early adopters. OOH will increase its relevance along the consumer journey; a format perceived primarily as a brand-awareness driver can now become an instrument in driving real-time purchase. The ad industry will face pressure to demonstrate accountability as marketers become increasingly sensitive to digital ad-viewability and ad-blocking. Expect increased scrutiny of all media channels, and an increase in startups specializing in media measurement. The above OOH predictions are based on advances in technology that will continually shape the industry. 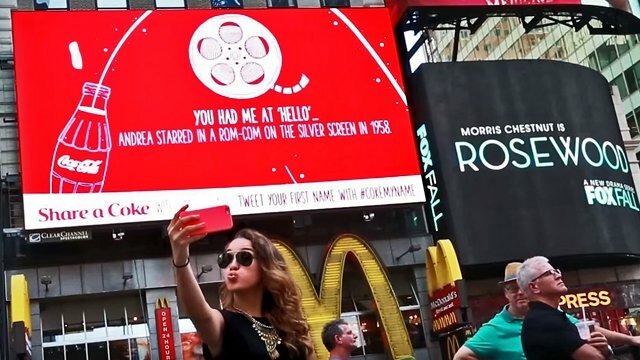 Expect more intelligent, highly-targeted and measurable campaigns as the OOH medium evolves. Introducing our Fantastic Four 2018! UK’s most iconic Piccadilly Lights relaunches.